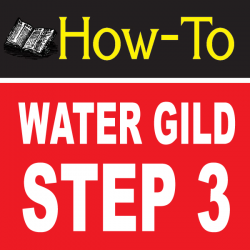 A short How To video on charging a "Gilders Tip" before application of Gold leaf. A charged Gilding Tip will pick up Gold Leaf. Learn how to get your Gilders Tips ready for gold leaf by "Charging the brushes Tip" using Gilders Lard-Oil brush preservative. Advanced techniques are available through advanced workshops, and at Gilders and Letterhead Gatherings. 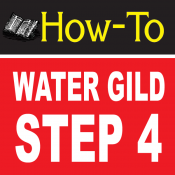 Water Gilding Basics Step by Step Part 4 listed below.